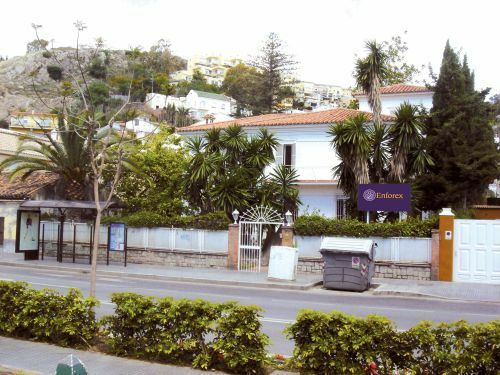 "Enforex Malaga - 7% discount on any course"
The Enforex school in Malaga is designed in harmony with its natural environment, with 2 outdoor classrooms and gardens to enjoy the Costa del Sol's abundant sunny days. If you are not much of a city person but want to have an urban center at hand, then this is the perfect environment for you as you will be able to enjoy both small town charm and a big city just a short distance away as part of the tourist attractions here. And if you are a beach lover... Well, you will be hard pressed to find a better location than Malaga in which to learn Spanish! 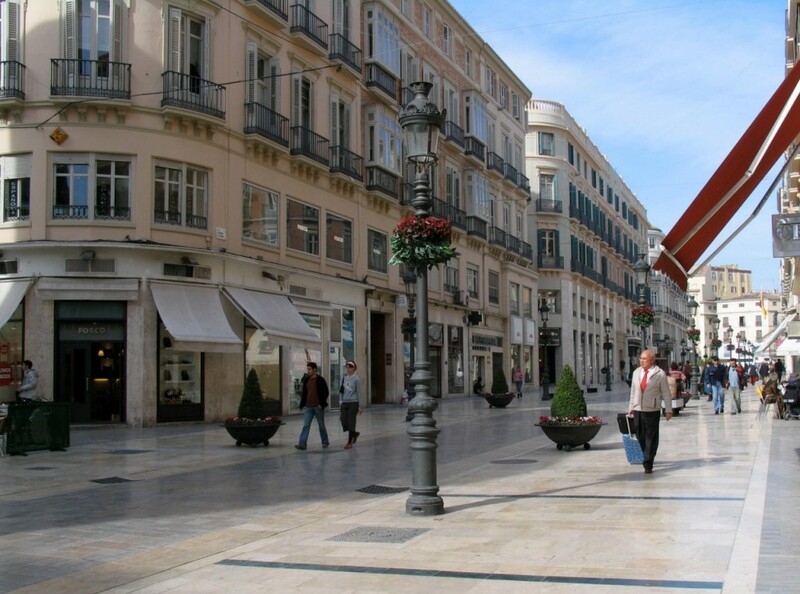 The location of our school in Malaga is magnificent, right next to the beach and close enough to take a short bus ride to the city centre, and the school itself is also an ideal place for a student to study or rest after hours of class. The perfectly equipped classrooms are joined to interior patios that create a relaxing atmosphere which is just right for studying. You should not have any doubts that this atmosphere is perfect for learning Spanish, as we have set it up through our many years of experience in order to make sure that it provides the best possible environment for all students. •10 lessons per week: "Semi-Intensive/ Part Time"
•20 lessons per week: "Intensive"
The Intensive & Super Intensive Courses are the classic Enforex programs. You will work on every interpretive and expressive skills while increasing cultural knowledge. This long duration Intensive Spanish immersion course allows you to improve your language skills with the added advantage of becoming thoroughly acquainted with Spanish life and customs. This program provides you with an extended period time during which you will be participating in day-to-day activities with native speakers while growing increasingly aware of Spain’s current cultural, financial and political situation, both domestically and in relation to the rest of the world. We understand that when you come to Spain to learn Spanish, you want to experience as much of this fascinating country as possible. However, when you sign up for a Spanish course with any other school, you're limited to one school in one city, leaving only the short weekends to hurriedly explore all the other places you want to see. That's where Enforex comes in! Our extensive network of schools throughout Spain's top cities make it possible for students to follow the same course through as many Enforex destinations as they wish - at no extra cost! No matter where you are, we guarantee you the same outstanding quality teaching, modern facilities, standard methodology and support throughout our system of on-site services. It's one of the many things that make Enforex stand out. Tailor-design the best curriculum for your needs and desires! If you want to optimize your study time and enjoy a fully personalized method of teaching, this course is the best option. The DELE (Diploma for Spanish as a Foreign Language) is the only official certificate for foreign students recognized by the Instituto Cervantes. This diploma is an invaluable asset for students who wish to study at Spanish universities or would like to work in a Spanish-speaking country. 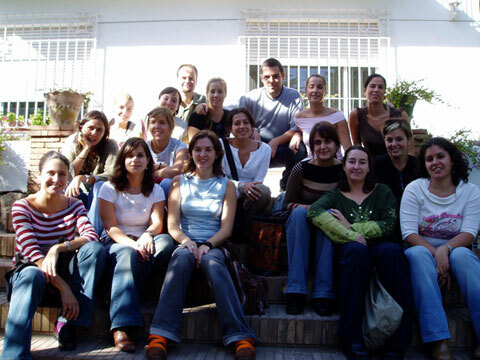 This course is specifically tailored to the needs of students who are looking to study at University in Spain, who need to improve their Spanish knowledge sufficiently and prepare themselves to pass the University access test (Prueba de Acceso a la Universidad or Selectividad) and who require assistance with their University application. Enroll in a private or state, graduate or post graduate university programs through eduSpain, an educative organization that advises students about advanced programs in Spain and arranges the placement for you. Note that Enforex will help you to apply for one Public or Private Spanish University for free if you study with us for more than 12 weeks. The specifically tailored to the needs of students who are looking to study at University in Spain, who need to improve their level sufficiently to be able to study both effectively and competently and who require assistance with their University application. The program is available at different locations across Spain and consist in with 20 Spanish lessons along with cultural lessons, allowing the student to have a well-rounded knowledge of Spain and its unique culture as well as the written and spoken language. Cultural lessons can vary from art to literature and history to cinema to truly open up Spanish culture to students. The 1 or 2 week Christmas program is designed for you to enjoy traditional Spanish celebrations and work on your language skills at the same time. Apart from 20 Spanish lessons per week, the school organizes excursions and cultural activities such as visits to typical Spanish Christmas gatherings, nativity exhibits and Epiphany parades. This program is designed for people from 50 years of age and up who want to learn Spanish in Spain or improve their current language skills while discovering Spanish art and culture first-hand. You will have the opportunity to sign up for special cultural activities, trips, and excursions for 50+ participants, such as visits to museums, guided walking tours and flamenco shows. If you’d like to come to Spain with a group of at least 8 students, we’re happy to help you design a personalized Spanish program with activities and excursions. When you learn Spanish, you will open yourself to millions of new clients and peers. With this goal in mind, ENFOREX offers you the Spanish for Executives Course. It is an individualized program for professionals of all kinds who want to acquire Spanish skills for their line of work, or improve their general Spanish. You will be taught by a highly qualified native speaker with specific knowledge in your field of expertise. Our objective is to provide a tailor-made course that will simultaneously equip you with cultural skills suitable for each particular vocation. This program is geared towards students and business professionals who want explore a particular business-related topic in Spanish. If you want acquire the language skills necessary to communicate in business and legal situations, this is the perfect course for you. These intensive programs are designed for teachers of Spanish as a foreign language or any individual that would like to expand upon and update their knowledge of second language methodologies and theories. You will increase your pedagogical expertise by discussing controversial grammatical topics, addressing how to integrate culture, history and politics into your lessons, and reviewing other related issues that will inevitably enrich your classroom back home. Participating in an internship is the key link between your studies and becoming a member of the 'real' working world. An even more valuable asset is the ability to work in a foreign country and interact in a foreign language. Come join our Spanish + Internship/Volunteer program and combine two essential experiences into one enriching and edifying adventure! Sunshine, Sangria, Flamenco and tapas cuisine are all synonymous of Spain. Why not take home both the Spanish language and some Spanish culture so that you can feel like you are on holiday every day of the year. 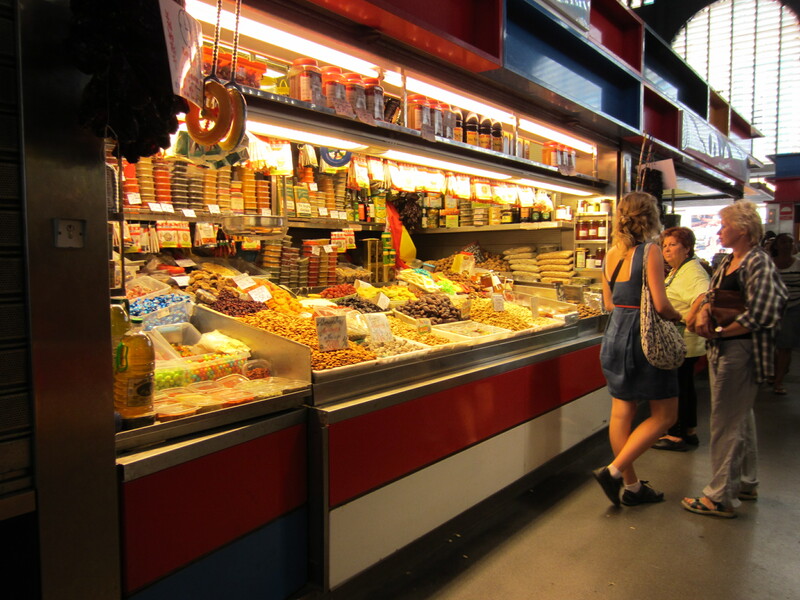 Spain is infamous for its tapas dishes which are served up alongside drinks in bars up and down the country. In this course, you can learn how to make some typical Spanish cuisine and even brush up on your Spanish language skills. Flamenco is a gypsy art form with its origins in Spain's southern region, Andalusia. It combines acoustic guitar playing, singing, dancing and staccato handclapping to transmit life's profound sufferings and joys. The Flamenco/Salsa Course consists of 8 flamenco/salsa dance lessons per week. Our special program is aimed at younger international students who want to learn Spanish quickly and effectively while having fun with an all-included study abroad program. In addition to the morning Intensive Spanish classes, this program includes a wide range of activities so that students can practice their Spanish outside of class in a dynamic and friendly environment. Our Junior Program has it all: students 14-21 years old will stay with host families or in residences* on a full board basis and will have 20 Spanish lessons per week plus various activities (sports, sightseeing, workshops, cinemas, etc. ) and excursions organized by the school and supervised by our staff. Roundtrip transfer from airport to destination is also included in the price of the program. Our high school semester or year abroad program in Spain allows students from 13 years old and up to attend a public or private high school with Spaniards their age and experience the day to day reality of Spanish life and customs. By living in an authentic cultural and linguistic environment, these teenagers exponentially increase their understanding of Spanish society while becoming fluent speakers. It's a fun, challenging and highly formative experience that inevitably enriches and enhances the student's personal development.